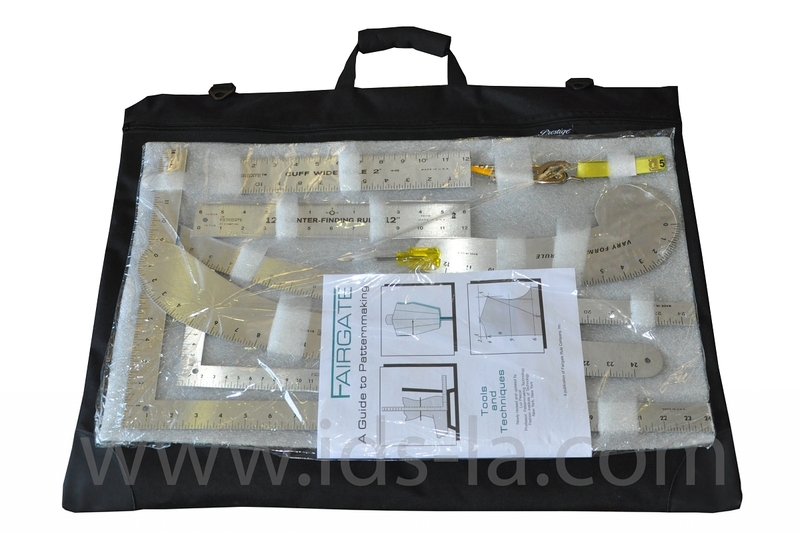 Fairgate manufactures a kit to meet the needs of everyone in the fashion design industry from beginning student to seasoned professional. Each kit contains a selection of hard tempered aluminum tools and the book A Guide to Pattern making. 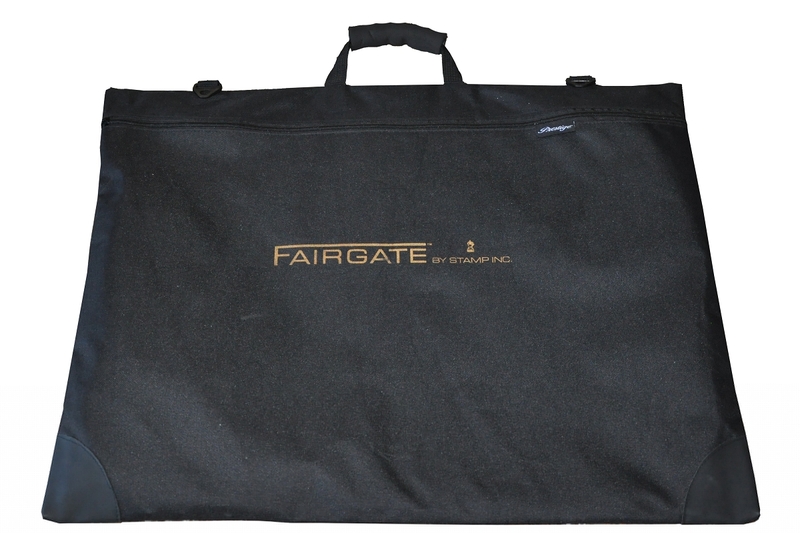 "Carryall" kits include an attractive canvas portfolio type case with ample room for all tools plus fabrics, drawings, and patterns -- great for travel to and from the classroom or office. 14-500 Book: "A Guide to Pattern-making"
FAIRGATE 14-102, Cuff Width Ruler 12" x 2"